With her Jamla debut LP release date quickly approaching, Jamla's first lady Rapsody has unveilied the second single "Roundtable Discussion" off her upcoming album, The Idea Of Beautiful. Joined by Mac Miller and The Cool Kids, the crew of rappers blend their distinctive styles over a soulful, slow burning beat crafted by Jamla boss 9th Wonder. Rapsody's album is set to include appearances from Phonte, Raekwon, Ab-Soul, Raheem Devaughn and production handled primarily by 9th Wonder and Khrysis. You can check out the album's tracklist below. 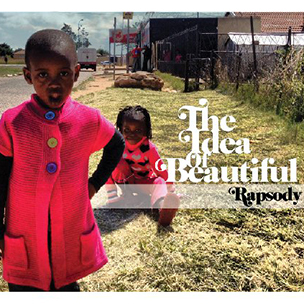 The Idea Of Beautiful is due out next Tuesday, August 28 via Jamla Records/IWWMG.